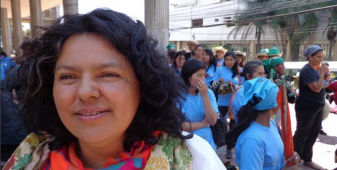 PEN International has joined a global action calling for justice for Honduran environmental activist, Berta Cáceres, who was murdered on March 3, 2016. Ariel Torres Funes wins the 2016 Escribir sin Miedo award for investigative journalism. 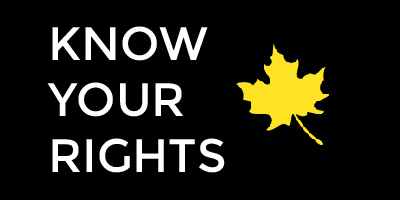 PEN Canada is deeply saddened by the murder of Bertha Cáceres, and joins our colleagues at PEN Honduras in calling for an end to impunity in their country. Honduras has suspended the court-imposed ban that prevented Globo TV journalist Julio Ernesto Alvarado from presenting his news show. 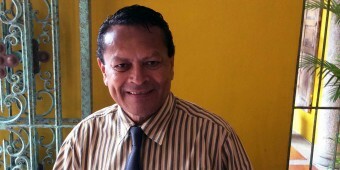 Honduran journalist Fred Alvarado spoke to CBC’s Anna Maria Tremonti about the forced removal of leftist President Manuel Zelaya June 28th, 2009. 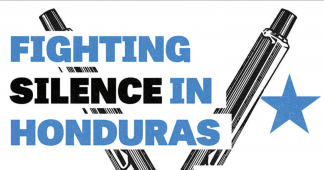 PEN International asks its members worldwide to pressure Honduras to allow Julio Ernesto Alvarado to resume his work as a journalist. The Honduran government has yet again displayed contempt for the authority of the Inter-American Commission on Human Rights (IACHR) by formally banning journalist Julio Ernesto Alvarado from his profession for 16 months. The International Issues Discussion (IID) series at Ryerson University, is pleased to present its third event of the Fall 2016 term in partnership with PEN Canada. 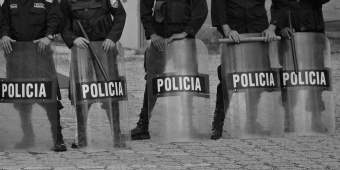 PEN Canada condemns the actions of the Honduran Supreme Court in failing to implement a legally-binding order to protect journalist, Julio Ernesto Alvarado’s right to work. In the early hours of June 28, 2009, President Manuel Zelaya, dressed in pyjamas, was seized by a squad of hooded soldiers that had been tactically trained by US Special Forces.